Racing TV ambassador Ruby Walsh gives us the inside track on his three rides at Gowran Park on Thursday and also reflects on Total Recall’s performance in the Horse & Jockey Hotel Chase at Thurles. The Goffs Thyestes Chase takes centre stage on Thursday. Gowran have made a good decision by keeping their flagship race midweek as it isn’t in competition with any key events in other sports. It is a great race which always attracts a huge crowd and a lot of people from all around Ireland attend. It has a great history and has been won by the likes of Hedgehunter and Numbersixvalverde in the past, and the calibre of horses who run in the 3m1f contest has steadily grown throughout the years. Willie Mullins has eight runners in the race this year and is seeking his seventh win in it. I have decided to ride Invitation Only. I think he has a chance, although Willie has more of a chance with his seven other possibles! Invitation Only had graded form as a novice last year and was in the process of running a good race in the Growise Champion Novice Chase at the Punchestown Festival when he unseated his rider two fences from home. All his form ties in with the likes of Monalee and Al Boum Photo and they are proper graded horses. He drops back into a handicap and has to carry plenty of weight, but I think he has plenty of class and I am hoping three miles will bring out more improvement in him. Andrea and Graham Wylie are also represented by Up For Review who has a great record fresh. He is also a good jumper and stays well. Some Neck also has a chance, as does Grand National runner-up Pleasant Company if he can put his last run behind him. It is a very competitive race and is always run at a good pace. Horses can sometimes struggle to get into it from the back and you need a horse with plenty of pace to get a decent position. My first ride of the day is Coquin Mans in the John Mulhern Galmoy Hurdle and I am hoping I have made the right choice in riding him. It looks a competitive race and Willie has six runners in it. I have chosen to ride Coquin Mans as Willie’s other five runners have a bit to prove in my opinion. Three miles will suit the seven-year-old and he is in good form, so I am hopeful of a good run from him. The star attraction in the race is Cheltenham Gold Cup favourite Presenting Percy, who has not run since winning the RSA Chase at the Festival. He won the race last year and he went on to finish second in the Red Mills Chase, so he has good course form. It is a good starting point for him. My final ride is Cilaos Emery in the PMF Beginners Chase. He was a high-class hurdler and won the Grade One Champion Novice Hurdle at the Punchestown Festival in 2017. He has not been seen since finishing second in the Ryanair Hurdle behind Mick Jazz in December 2017 and had a bit of a setback after that but is in good form now. He has schooled really well, and it is the first time we have had soft ground to run him on over two miles. 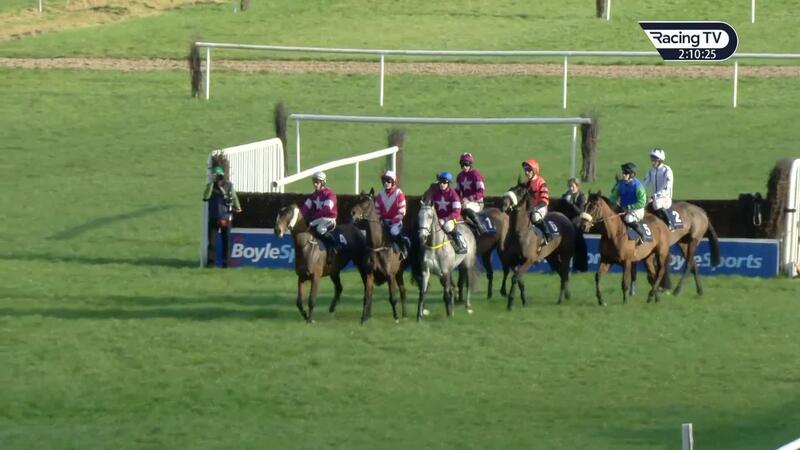 Willie also runs Dec De Genievres, who was a good novice hurdler last season. He also has a run over fences under his belt so has an experience edge over Cilaos Emery. I have chosen to ride Cilaos Emery because he had high-class form over hurdles, and he may even be able to improve again going chasing. I reckon he also has the potential to turn into a graded chaser. Total Recall was unlucky not to finish closer to Tout Est Permis and Sub Lieutenant in the Horse & Jockey Hotel Chase at Thurles on Sunday when he lost all chance at the last. I am not sure if he would have won, but he was staying on and in the process of running a good race. He jumped the fence OK but just seemed to stumble or slip on landing. 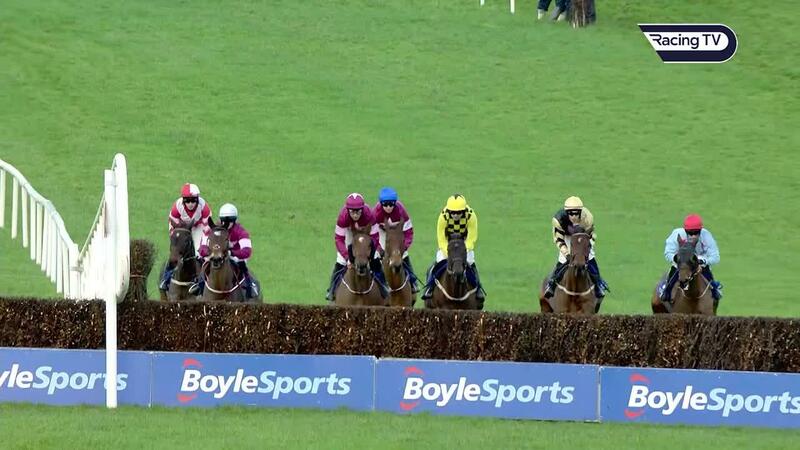 The last fence at Thurles comes at the bottom of a hill and he also made a mistake at the fence on the first circuit. It is not the first time he has made a mistake at a downhill fence, either. as he didn’t cope with the downhill fences around the back straight and it was the same scenario when he finished second at Tramore on New Year’s Day, plus he fell at the third last in the Cheltenham Gold Cup. Thankfully, he has come out the race well. Tout Est Permis is an improving horse and Noel Meade is quite excited about him, but when he steps up in class he will need to improve again.